Jessica who makes Vera Bradley coordinated scarves in the winter time is back, but this time with beautiful crochet baby blankets! I have a couple of her scarves and I love them! These baby blankets make me wish that one of my friends was going to have a baby girl, lately there has been a streak of baby boys. They coordinate so well with Tutti Fruitti and Lilli Bell. Jessica is even offering free shipping again for all OhMyVera readers! Just use code: OHMYVERA when you check out. 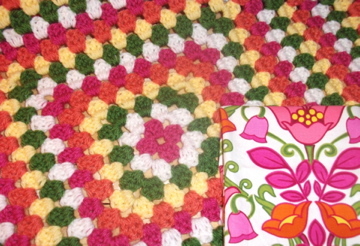 Click here to shop for the Tutti Fruitti blanket. 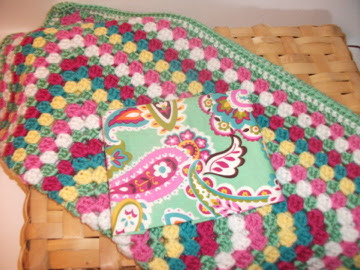 Click here to shop for the Lilli Bell blanket.